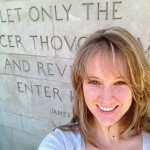 Whitney DeVos is a PhD student at UC Santa Cruz concentrating on 20th and 21st century American poetry, poetics, and politics. As part of an innovative alt-ac pilot program in collaboration with UCSC’s Graduate Division Dean, Whitney interned at UCHRI during August and September 2014, working on program development, research activities, and scholarly communications for the institute. As part of her Humanists@Work research at UCHRI, Whitney developed the following recommendations for graduate students interested in shaping their graduate professional experiences to better prepare themselves for careers outside/alongside the academy. This is part two of a series on making the most of your graduate career. For the first post, please visit: 12 Step Program: Advice from a Doctoral Student (Part I). 8. Build a Network. Often, it’s not what you know but who you know. Personal networking, which can be intimidating and/or off-putting for humanities scholars, is not to be underestimated. If you’re not sure where to begin, you can always start by researching your own department: ask for a listing of recent graduates’ nonacademic employment, or if your department doesn’t have this information, ask for a list of names. Then, check LinkedIn to find out where various alumni from your department are employed. Compile a list of those working in fields or jobs that interest you, and consider contacting them for an information interview. Similarly, whenever you teach a course or work with undergraduates, take time to talk to academic support professionals, such as college advisers, librarians, and tutoring center coordinators. This will increase your available resources as a teacher and expose you to members of the broader university community. By taking the time to get to know a variety of people at your university, and treating everyone—from staff to Chancellors—with kindness and respect, you can begin to establish a significant network in a short period of time. But make sure to get beyond your immediate sphere as well. Establish a professional online presence and connect with colleagues via LinkedIn, Academia.edu, Twitter, blogging, etc. Join field-specific professional organizations and go to academic conferences early and often. Talk to people in your field—and beyond it—who interest you. Get their contact information and use it to build your online network. Make sure to manage and update your social media accounts regularly. Likewise, continue to update your list of potential interviewees on a regular basis: add newly minted PhDs from your program, mentors, scholars you’ve met, administrators, staff, etc. 9. Develop Strong and Varied References. When your time to degree comes to an end, you’ll need people who can speak to your potential as both an academic and a colleague. Your adviser is an excellent reference for the former, but for the latter, you’ll need people who can speak to your performance and potential in the workplace. As you build your network, seek out opportunities to work with (and under) others within your academic community—and in arenas outside of it—in ways that will highlight your skills and diversify your references. 10. Consider Internships. Internships provide opportunities to gain experience in a variety of ways: they give you contacts, references, experience, and may help you eventually find a job. If possible, use your summers to pursue full-time internship (or employment) opportunities, especially those outside the academy. When you reach the dissertation stage, a part-time internship may become more doable during the school year. Consider the possibility, as well as a wide range of opportunities that interest you, whether or not they are explicitly related to your degree field. You may be pursuing a PhD in philosophy, but if you’ve always had an interest in museums, consider checking websites for local opportunities in different aspects of the museum: curation/acquisition, programming/development/fundraising, exhibit design, etc. You might also think about creating an internship that fits your specific career goals. How? Either taking the initiative to make a cold call or using your network on contacts, arrange to speak with people in organizations you’ve identified. During your conversation, ask about the possibility of an internship. Then, develop a proposal for a particular organization, such as to complete a given project, and see if you can get your internship officially approved. 11. Take Regular Advantage of Available Campus Resources. All UCs have resources, opportunities, and events for the purpose of graduate professionalization. Some offer a quarter-long leadership certificate and/or similar programming designed to help build you leadership, executive, managerial, and other workplace skills. Check with graduate student associations and the Graduate Dean’s office for opportunities offered by your campus. Go to your career center. Many that were once designed for undergraduates only are now hip to the graduate situation. Attend any professionalization workshops/events, campus career fairs, or employer information sessions you find useful or relevant. Be on the look out for “alt-ac” events in your geographical area, and attend them. 12. Relax. The Philanthropy Journal identifies the ability to be “flexible and adaptive” as two critical skills for future job seekers. The top 4 of 10 “Most Critical Job Skills in 2013” according to Forbes are Critical Thinking, Complex Problem Solving, Judgment and Decision Making, and Active Listening. You got this. Image courtesy of quicksandaia at MorgueFile. With a B.A. in English and an M.F.A. in poetry, Whitney De Vos is a PhD student at UC Santa Cruz concentrating on 20th and 21st century American poetry, poetics, and politics. As part of an innovative "alt-ac" pilot program in collaboration with UCSC’s Graduate Division Dean, Whitney interned at UCHRI during August and September 2014, working on program development, research activities, and scholarly communications for the institute.